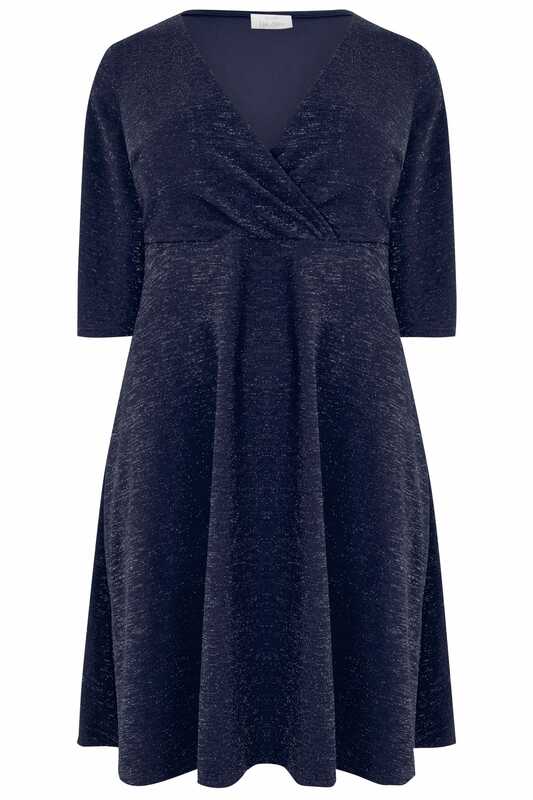 PETITE length from (approx): 98.5cm/38.7"
Sparkle your way into the new season with this shimmering Yours London dress. The perfect party option, it flatters in a wrap style and offers a glistening glitter textured finish. Style with a pair of high sandals and a box clutch bag for after-dark appeal. 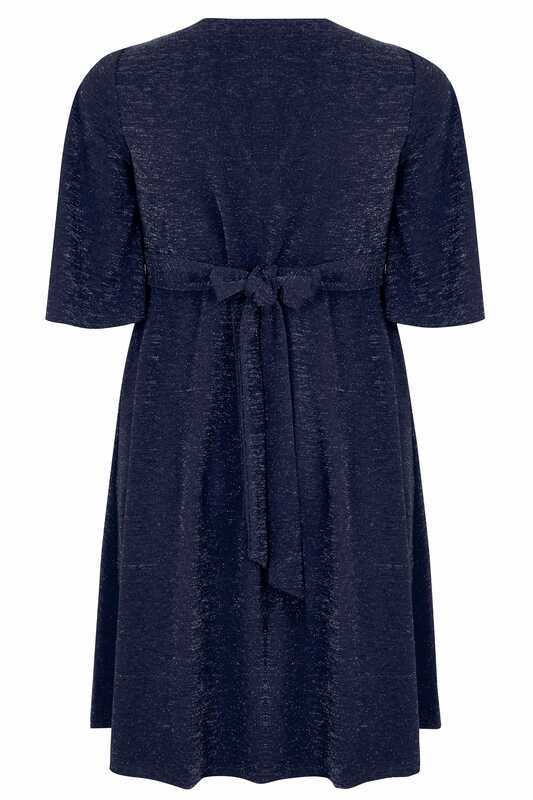 In a deep navy hue, it is the perfect dinner-to-dancing number.